We are Loughborough Junction was an innovative outdoor photographic project, organised by local people and sponsored by LJAG and the SE5 Forum with local photographer Conor Masterson, which was held in February 2010. The previous summer Conor held photographic sessions in Ruskin Park when local people, from all walks of life, were invited to have their photographs taken. The project attracted a huge amount of media interest with a visit from Robert Elms of Radio London and a number of newspaper articles. Over 7,000 came to walk the streets of Loughborough Junction where the portraits were posted up on walls, buildings and estate agents-type boards during the weekend of the exhibition. 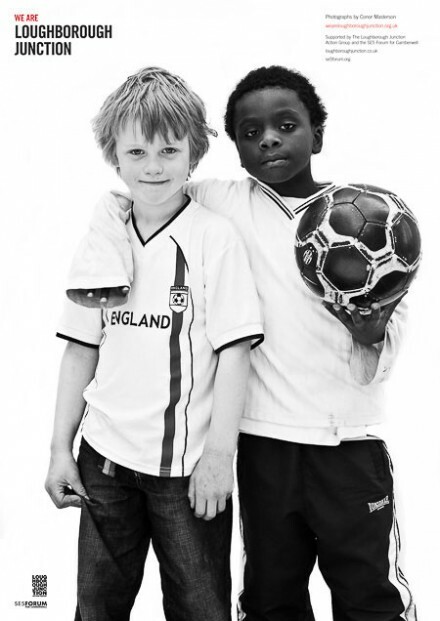 See the photographs on the We are Loughborough Junction website. View journalist Robert Elms’ coverage of the exhibition on the BBC website.